In the Management Console ([yoursubdomain].revelup.com), the Basic Products Details page allows you to customize each item's settings. For a Retail establishment, there may be helpful settings you want to enable. In the Management Console, navigate to the Products tab. 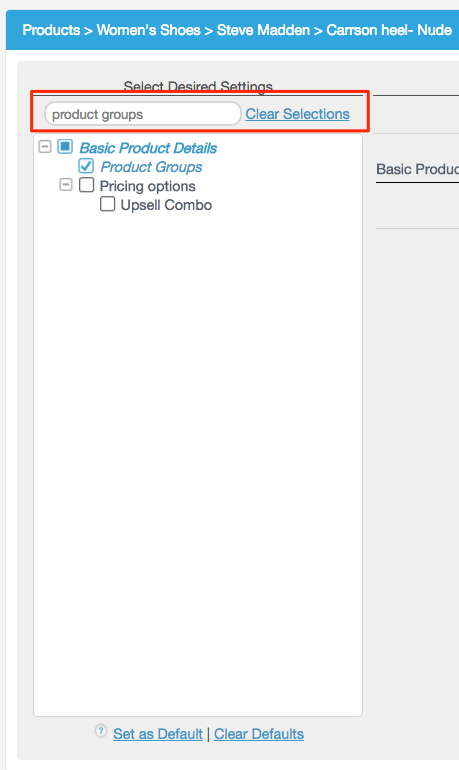 Then, click the plus icon to expand the Category and Subcategory where the product is located. Description: Here, you can enter additional details about an item. The description will appear both on the POS and in online ordering. Barcode: The barcode is a 5-12 digit scannable number. This number is normally found on a product or its packaging. Revel defaults to a UPC-A formula for barcodes. Please note, if you enter an arbitrary 9-12 digit number, it might cause issues with barcode scanning. If you do not have a barcode, Revel will autogenerate a UPC compliant barcode for you can then print out and place on the product using a barcode label printer. SKU: SKU stands for Stock Keeping Unit. It serves as an identification number for a product. 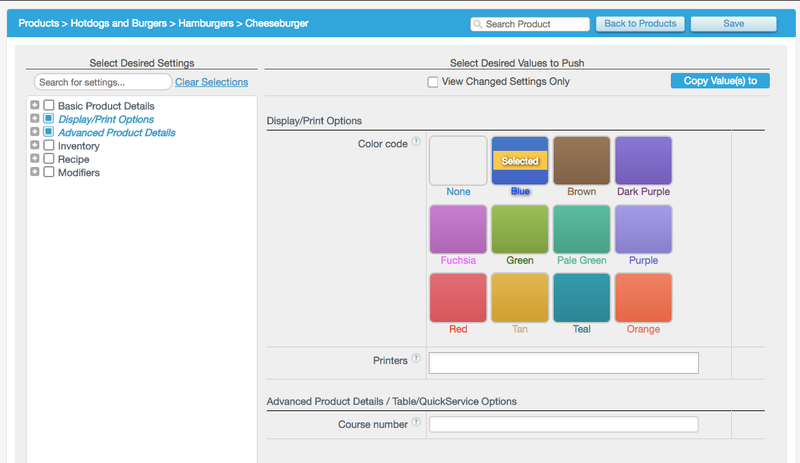 Product Class: A product class allows you to group items together for running reports. 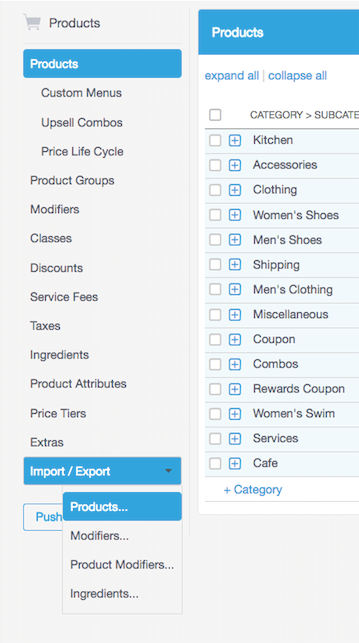 Classes also help for filtering and sorting your products in the Inventory page. Allow Price Override: This allows you to change the price of a item on the POS. This function is most commonly used for open items. If you make the price of an item $0, and select Enable Price Override, when you select this specific item on the POS, you'll be prompted to enter the price. Alternate Lookup: If you have an alternate barcode or ID for this specific item, enter it in this field. This ID does not have to be unique. For example, you can enter lookup terms like cashmere, red, the specific code, and so on. You can also enter as many alternate lookup IDs as you’d like. 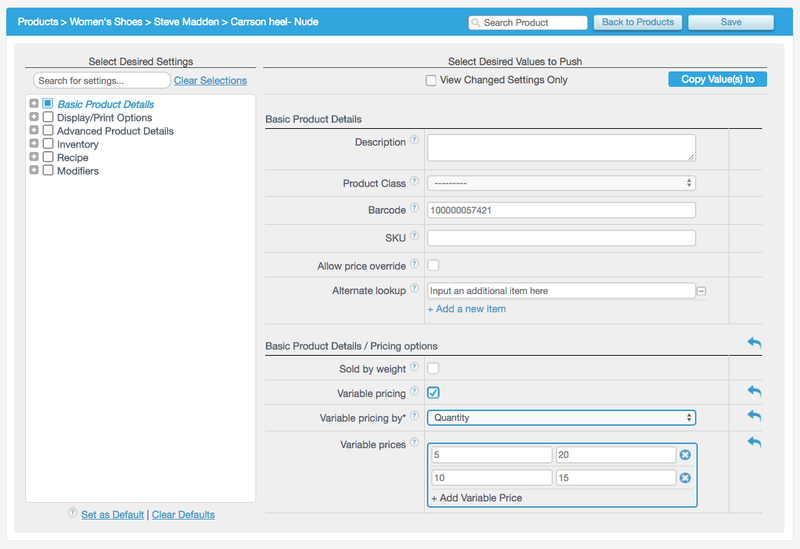 Variable Pricing: This allows you to set items on a multi-tiered pricing scale. If enabled, you can choose to set this standard by weight or by individual items purchased. For example, if someone purchases 3 of the same products, you can set a different price point. For every quantity that you want to change the price for, you will need to input a new price in the price field. This is price per item. 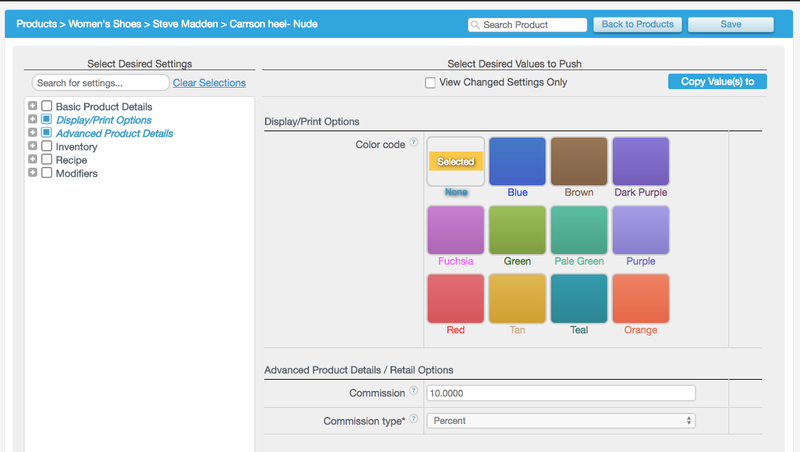 Color Codes:The color code feature allows you to set a specific color for the category, subcategory, or product buttons on the POS. Always remember to click Save to finalize your changes. Navigate to the main Products tab. In the next page, switch the Export Type to Advanced. 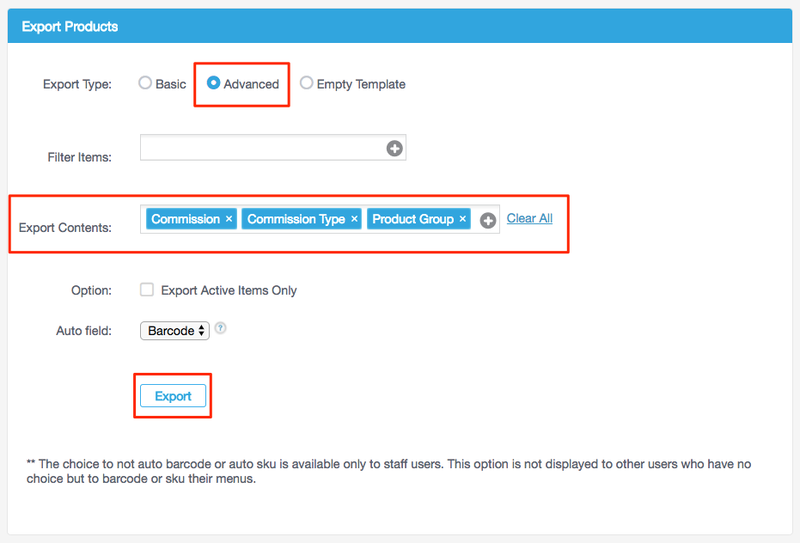 In the exported file, make your adjustments, save the file, and import it through the Import Products section in the Management Console.